Since 2011 Speyer has also again a Synagoge. It was erected on the spot of the former St. Guido Collegiate Church, and was dedicated with a big celebration, honoured by the presence of the German President, on the 9th of November 2011 - the anniversary of the "night of broken glass" of 1938, when the Nazis started violent attacs on Jewish institutions. 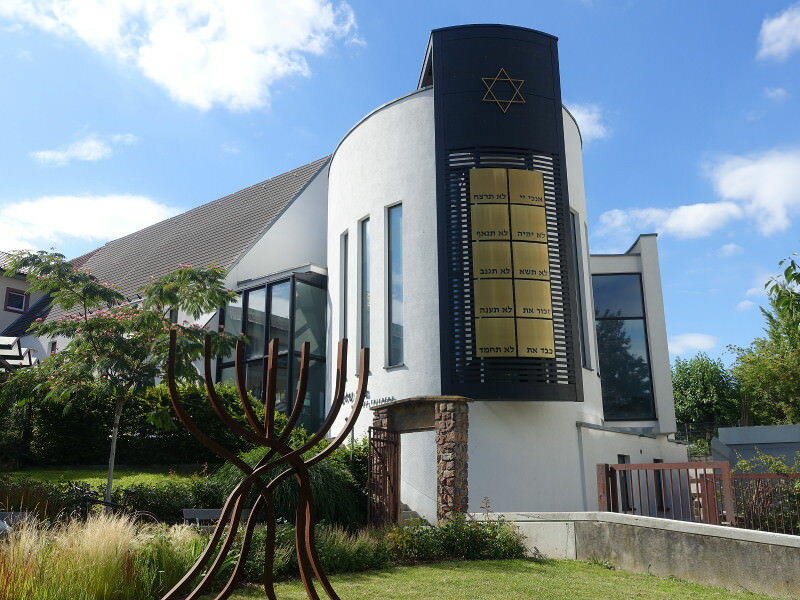 The Synagoge was named Beith-Shalom, House of Peace.